WE HAVE BEAUTIFUL WEDDING DRESSES BY AFTER 6. BEAUTIFUL WEDDING DRESSES FROM THE DESSY GROUP! PEOPLE ASK ME, WHY DON’T YOU SELL WEDDING DRESSES? I’VE DEBATED ABOUT SELLING WEDDING DRESSES ON MY SEWING AND ALTERATION WEBSITE FOR QUITE A WHILE NOW. IF YOU LIVE ANY WHERE AROUND THE BURLINGTON, NC AREA, I WOULD LOVE TO DO YOUR ALTERATIONS WHETHER IT BE WEDDING DRESSES, BRIDESMAIDS DRESSES, TUXEDOS OR EVERYDAY CLOTHES. I WOULDN’T SELL WEDDING DRESSES BECAUSE MOST COMPANIES THAT SELL WEDDING DRESSES (ONLINE OR OFF) DO NOT OFFER REFUNDS OR EXCHANGES. I THINK WEDDING DRESSES SHOULD BE RETURNABLE! I DON’T LIKE THAT NO RETURN STUFF, YOU SHOULD HAVE THE RIGHT TO RETURN ANY PRODUCT THAT DOESN’T FIT OR ISN’T RIGHT IN ANY WAY. NO MATTER IF IT’S WEDDING DRESSES OR KITCHEN STOVES. DON’T MISS OUR LITTLE BLACK DRESSES!!! IF THEY HAVE A NO RETURN POLICY ON THEIR WEDDING DRESSES, THEY CAN SEND YOU ANYTHING THEY WANT TO AND YOU ARE STUCK WITH IT! TO PUT IT IN COUNTRY LANGUAGE…THAT AIN’T RIGHT!!! IF ANY COMPANY HAS A NO RETURN POLICY…I DON’T BUY FROM THEM. THEREFORE NO WEDDING DRESSES HAVE BEEN ON MY SITE UNTIL NOW! ANOTHER OF OUR BEAUTIFUL AND ELEGANT WEDDING DRESSES!!! We are pleased to offer easy, no-hassle refunds on accessories and in-stock bridesmaid dresses, twist dresses and wedding dresses, received within 30 days of receipt. All returned items must be unworn and in original packaging with tags affixed. Shipping fees will not be refunded. You can even download A Return Authorization form by clicking here. All in-stock dresses are 100% returnable. This includes in-stock bridesmaid dresses, twist dresses and wedding dresses. WE HAVE SO MANY STYLES OF WEDDING DRESSES FOR YOU!!! All special order dresses are not returnable, all sales are final. If item is defective or damaged in shipment, please contact us via our email on our website. All fabric yardage, fabric swatches, and PANTONE paper Chipettes are not returnable, all sales are final. Returns must be initiated within 30 days of receiving your order. All returned items must be received in their original, unworn condition and must include all original packaging with tags affixed. All dress returns must be received with the security tag affixed. Items returned with the security tag removed cannot be credited to your account. WE HOPE TO HAVE WEDDING DRESSES FOR EVERYONE!!! A refund will be issued for the purchase price, less the shipping charge. Credit will only be applied to the original credit card account used for the purchase. Most credits are applied within 5-7 business days of receipt of the item, allowing for processing and inspection time. If our warehouse is unable to accept your return, the merchandise will be returned to you without credit. HOW ABOUT SOMETHING SPECIAL FOR THE HONEYMOON?! We do not offer exchange service for products at this time. If you purchased your item/s and would like to exchange for a different size or style, you will need to return the item/s for a refund and place a new order for the correct item/s…IS THAT SIMPLE AND EASY ENOUGH? AFFORDABLY PRICED FOR ANY BUDGET!!! DOING ALTERATIONS ON WEDDING DRESSES AND FORMAL WEAR FOR 35 YEARS, I’VE FOUND THAT MOST OF THE COMPANIES WHO MAKE WEDDING DRESSES AND FORMAL WEAR ARE IN JAPAN, CHINA, MEXICO, OR WHO KNOWS WHERE AND THE WEDDING DRESSES RARELY FIT RIGHT FOR LADIES IN THE USA. SIZES VARY SO MUCH FROM COUNTRY TO COUNTRY AND THEY USE METRIC SIZES INSTEAD OF STANDARD MEASUREMENTS. OUR WEDDING DRESSES ARE MEASURED IN INCHES, NOT CENTIMETERS! WE HAVE WEDDING DRESSES WITH LACE TOPS TOO!!! I’M HAPPY TO SAY THIS COMPANY IS HEADQUARTERED RIGHT HERE IN THE GOOD OLE UNITED STATES OF AMERICA!!! IT HAS BEEN IN BUSINESS SINCE 1939 AND IS STILL GROWING! THAT BEING SAID, I WOULD STILL ORDER YOUR WEDDING DRESSES BY YOUR MEASUREMENTS AND OUR SIZE CHART, NOT BY YOUR NORMAL SIZE!!! I PERSONALLY THINK IT’S BAD BUSINESS NOT TO OFFER REFUNDS OR EXCHANGES SO I TOOK THE TIME TO FIND A COMPANY THAT DOES OFFER RETURNS… HOWEVER, THERE ARE WEDDING DRESSES, WEDDING ACCESSORIES, SHOES AND OTHER THINGS HERE THAT MAY NOT BE EXCHANGEABLE OR REFUNDABLE, SO BE SURE TO READ ALL REFUND AND EXCHANGE INFORMATION ON EACH ITEM FOR YOUR OWN PROTECTION!!! 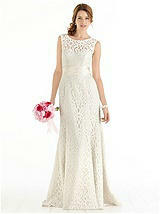 PLEASE PLAN TO SPEND SOME TIME WITH US HERE ON OUR SITE, WE OFFER MANY WEDDING DRESSES. THEN THERE IS THE BRIDESMAIDS DRESSES, TUXEDOS, SHOES AND OTHER ACCESSORIES FOR YOUR SPECIAL DAY!!! 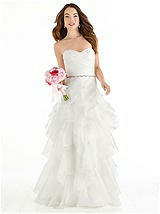 ALL THE WEDDING DRESSES ARE VERY ELEGANT AND VERY AFFORDABLY PRICED WITH MANY STYLES TO CHOOSE FROM. SO COME ON GIRL, CLICK HERE AND LET’S GO SHOPPING!! !